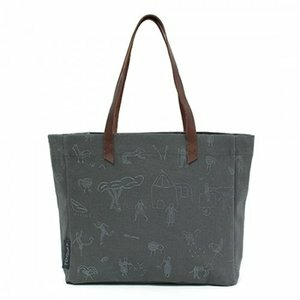 Strong, grey coloured canvas shoulder bag with inside bag, lining and very good finishing, printed motifs from Penduka´s village design. Leather closure and strong canvas rim. Size approx. 35cm x 32cm x 11cm.